This week, for my friend Barbara's workshop, I wanted to try a diorama card. 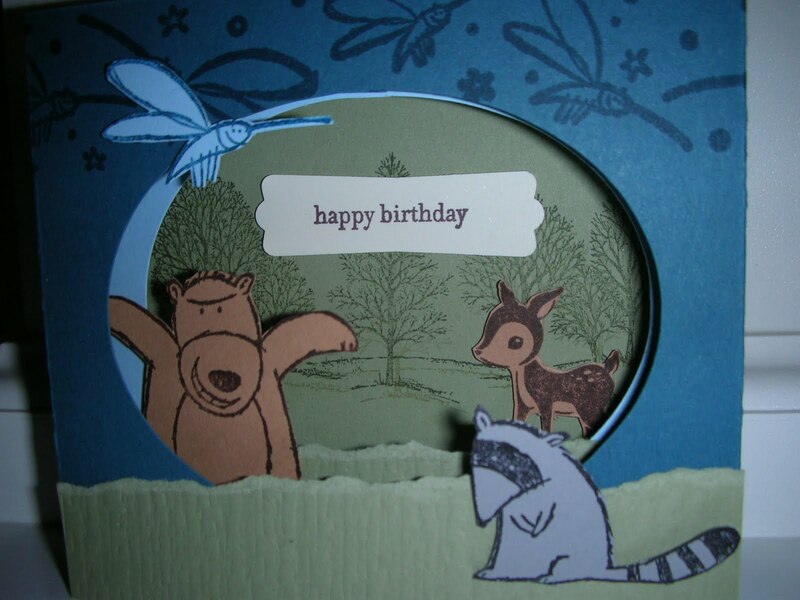 These woodland friends from Stampin' Up! 's Under the Stars stamp set are the perfect way to wish someone a Happy Birthday or even for Father's Day which is just around the corner. It also reminds me that it is almost time for camping!